The Japan Update “Weekly Winners” were picked up after the 2 pm deadline on Monday. 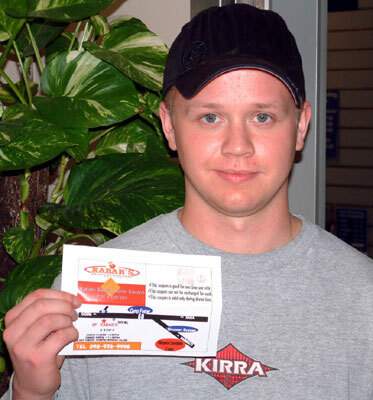 Kyle Glass won a \5,000 dinner coupon to restaurant Kabab. Although he has been on Okinawa just six months, he says he has already gotten used to the place and enjoys his life here, Originally from Maine, Kyle and his wife are happily expecting a new baby next year. 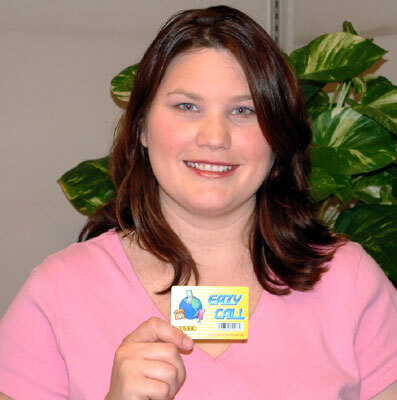 Paula Goldston, the winner of ¥4,000 worth of telephone cards from Eazy Call, moved to Okinawa from Nebraska about a year ago. She says she likes the climate of Okinawa as it is very similar to her hometown in Florida. She lives with her husban and two sons and enjoys sightseeing with her family on her free time. Next week we will raffle away a ¥5,000 dinner coupon to restaurant Kabab and a ¥4,000 gift coupon to MiMi’s Nails salon. We will contact the winners by telephone to arrange for them to pick up their prizes.